We talk a lot about needing a culture of innovation to thrive amidst digital transformation, but we should take that conversation a step back. A culture of innovation cannot exist without a culture of experimentation. If you want your organization to make the most of digital transformation, your success is going to hinge on your ability to determine what works best for your company. Modern business is far more competitive and data-reliant than it was in the past, and that means a misstep can set your business back tremendously if a project doesn’t pan out as expected. Testing is crucial to avoid failures and to uncover any hidden potential a project may have. As you move your company toward a digital transformation, testing not only needs to be part of the process—it also needs to be a tenet of your company culture. Someone might come up with a potentially fantastic idea only to have it fall flat in the implementation phase. This can happen due to technical failures, unaccounted contingencies, or unknown variables that only rear their heads once a project has reached a critical point. Even the most innovative idea won’t have legs to stand on without adequate testing. As more companies embrace digital transformation and start making moves to take their organizations into the future, the changes grow more drastic and far-reaching. It is imperative to test new ideas thoroughly before making them part of daily operations. When you work toward building a company culture of experimentation, you naturally encourage innovation. Building a process for testing is just one part of creating a company culture of experimentation. If you truly want to encourage experimentation, you need to bolster it on an individual basis. Digital transformation is challenging modern companies to rethink their business strategies, project management processes, workforce silos, and departmental structures. Part of digital transformation also needs to be employee-focused at the individual level so that brainstorming, risk-taking, and experimentation become part of every process in your company. Most people know that risk is a large part of business. Some companies shy away from experimentation because of the fear of failure, but the risk of not taking action is similarly destructive. Taking the time to develop a comprehensive testing environment is one of the best ways to encourage risk-taking without the looming shadow of business-crushing failure. 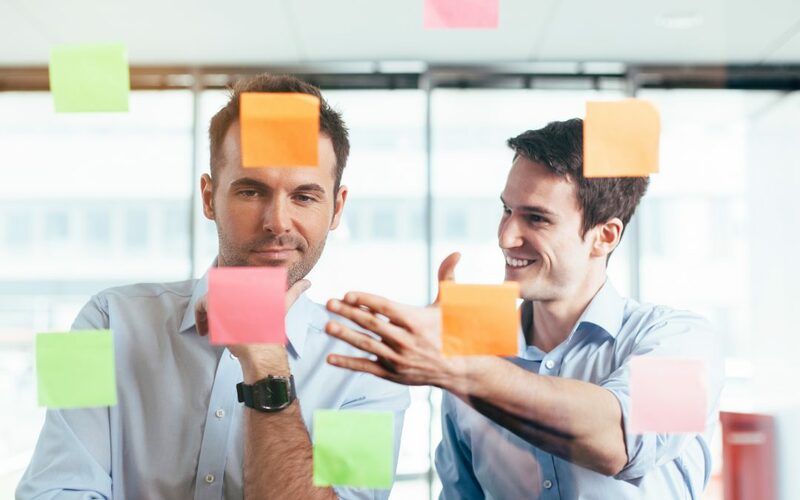 When you encourage your workforce to brainstorm new ideas and new ways of doing things, you’ll find that staying competitive and flexible is much easier in the constantly shifting business landscape. A big part of creating a culture of experimentation is teaching your teams how to celebrate failure. Not every idea will play out as intended, and as long as it only affects a testing environment, that failure becomes teachable data. Pouncing on every new development or offering from your competitors isn’t a good method for encouraging new ideas. If you’re just copying other companies’ ideas, this type of reactionary thinking doesn’t push your company forward. Taking risks doesn’t seem as daunting when you develop a testing environment and make experimentation part of the everyday routine. Encouraging collaboration, brainstorming, and contributing new ideas at every level of your organization is going to make challenges from competitors feel more like games than obstacles. When your workforce knows that you not only approve of experimentation, but you also encourage it—this will naturally drive your employees to challenge themselves and their old ways of thinking. Getting buy-in from upper management is often one of the most challenging tasks when it comes to getting a new idea off the ground. Some companies’ leadership may be unwilling or hesitant to embrace change, but it’s important for the C-suite to encourage a culture of experimentation and lead by example. Testing is critical to driving motivation. It’s much easier to get buy-in when you roll out a new development in a testing environment, when the risk is minimal. A thorough testing process can put executives at ease when you propose a new idea, and successful results will naturally lead to more buy-in and approval. A testing environment shouldn’t solely be a tool for placating hesitant executives—it should also be a means of encouraging input and collaboration across every level of the organization. The C-suite should support it, since it will help create a culture of innovation and digital transformation.